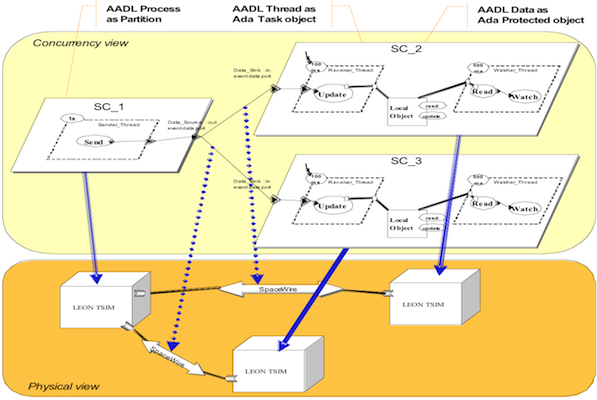 AADL is an Architecture Description Language dedicated to the modeling and analysis of real-time, safety critical, embedded systems. 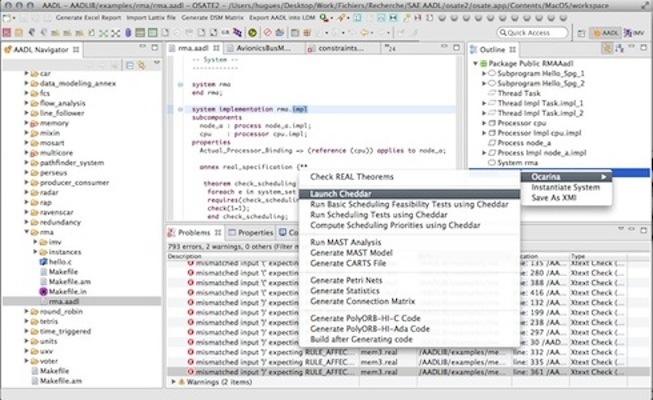 AADL is backed by tools supporting a whole range of analysis: scheduling, safety, model checking, but also code generation. . Libraries of reusable models, and examples are available to try and learn more about AADL and its toolchains. Several tutorials for AADL are provided in the blog section of this site. They illustrate the various steps from basic modeling phases down to analysis and code generation.